There are countless polls online and across social media discussing and debating the best heavyweight champions of all time. As a bit of a change I thought it might be interesting to ponder the ten worst heavyweight champions of all time. To clarify my selection criteria I have limited it to heavyweights who at some point in their career have had a reasonable claim to be considered the man at the weight, or to have been ranked number one in the division. As such guys who held a WBO belt for a couple of months are not considered. From a practical perspective there is just too much dross to wade through and perhaps selfishly I have little desire to spend my leisure time writing a biography of Kali Meehan. Also I have seen these polls in the past where Shannon Briggs has featured on the back of his once claimed ‘linear’ title. I personally am not including him or others who held that title. 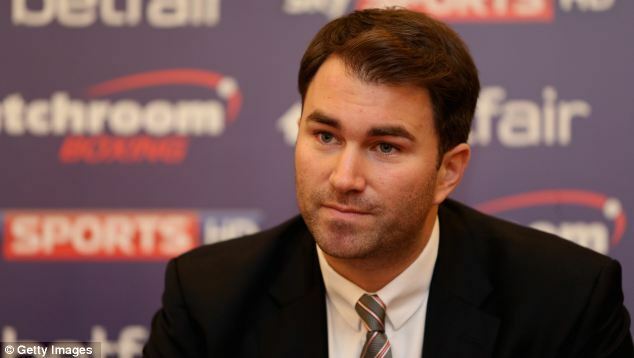 I thought at the time it was marketing BS dreamed up by Arum to legitimise Foreman’s increasingly well managed title reign, nothing since then has convinced me otherwise. 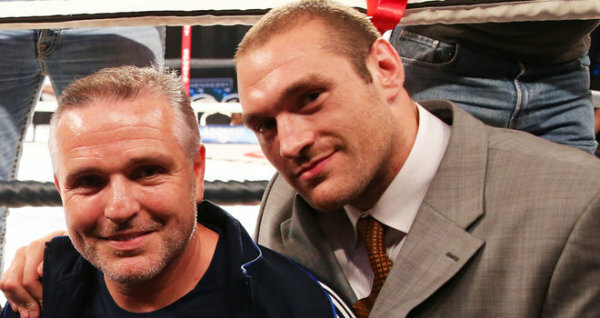 Have also not included fighters who are arguably still active, so don’t mention Tyson Fury. 10 - Floyd Patterson – This is a pick that might raise a few eyebrows because Floyd Patterson is a genuinely gifted fighter. Had he pursued a career at light heavy, or stayed at the weight longer than he did he could and arguably would have had one of the all-time great careers but alas he didn’t, he went chasing heavyweight honours and whilst he won the title his reign was hardly one to set the pulses racing. Think for me the issue with Patterson is whilst he was champion it was pretty apparent Liston was the best heavyweight in the world, so whilst Sonny was proving it against the likes of Machen, Williams and Valdez Patterson was reeling off defences against the likes of Harris, our own Brain London and Pete Racemacher, a guy making his pro debut! When D’Amato finally gave Sonny is overdue shot Patterson was separated from the title within a round. Floyd is another I feel bad about including as he was a genuinely decent guy, it was he who insisted Sonny be given his shot, but whilst his reign may have had a few defences there was an element of smoke and mirrors to the whole affair in my opinion. 9 – James J Corbett – If Patterson’s inclusion was unpopular I fully expect Corbett’s to be even more so. However I genuinely think on his record alone James deserves to be here. Now I appreciate he was something of an innovator in the sport, inventing everything from the hook, parrying and electricity if you listen to his own account of his brilliance, but as a heavyweight champion there is just not a lot there. He won the title against the brilliant John L Sullivan, but this was not the peerless Sullivan, but a fat ageing, alcoholic Sullivan who had left whatever genius he still possessed in the ring in his 75 round epic against Jake Kilrain. Sullivan was in truth there for the taking, Corbett was just the guy who got there first. After that he managed one defence against the average Charley Mitchell before dumping the title to a middleweight, albeit a brilliant one in Bob Fitzsimmons. Corbett could fight, he showed that in his 61 round no decision bout with the brilliant Peter Jackson and he did not lack heart, his win over Joe Choyinski was said to be brutal even by bare knuckle standards but I am afraid his reign is just not all that. 8- James J Braddock – I have to be honest I feel a little uncharitable putting Braddock on the list because his is a story it’s hard not to warm to. He was a journeyman light heavy forced onto welfare during the great depression. He returned to boxing in the hope of supporting his family, got a shot against current champion Max Baer and in one of the most stunning upsets in the sports history took the title. However whilst the story is literally the stuff of a Hollywood movie the harsh truth is Braddock just wasn’t that great. His win over Baer was legitimate and well-earned it has to be said Baer was a mercurial sort of guy who frequently didn’t put in the hard miles in training and when Braddock made his first defence he was torn apart by Joe Louis, albeit it showing no shortage of guts into the bargain, but he just doesn’t have enough on the ledger to not make the list. 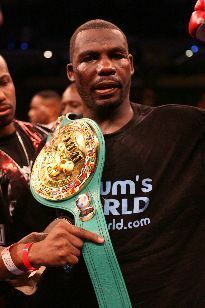 7 - Hasim Rahman – Few fighters can have been more fortunate to find themselves as heavyweight champion than Rahman. 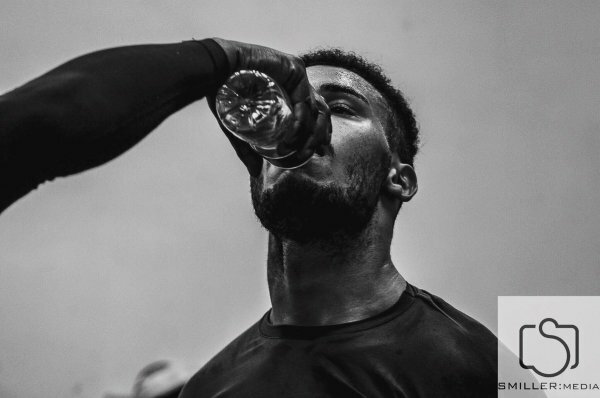 I make no excuses for Lewis turning up unfocused and out of shape, but it goes without say he doesn’t do that he never lays claim to the title. His title reign was to last a total of four rounds, in which Lewis turned up in shape and gave him the beating he should have received first time round. 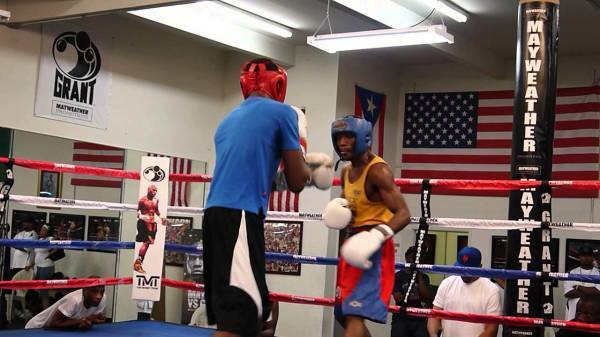 Losses to the likes of Maskaev, Tua and Ruiz are a better indicator of Rahman’s true level. All that said he holds a conclusive win over a genuine all-time great in or around his prime, something few others on the list can claim, which precludes him from being further up the pecking order. 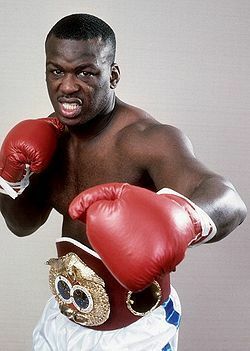 6 - James Buster Douglas – Like Rahman he avoids making the higher reaches of the list for the simple reason he holds a legitimate win over an all-time great heavyweight in Tyson but that aside there is not really a lot to get too excited over. Like a lot on our list somewhere buried deep within there is a good fighter in Douglas. You can say anything you want about Tyson’s prep for Tokyo but Douglas is genuinely very good that night. He moves well, has an outstanding jab some spite in his work and a lot of heart. However if that was the good Douglas his first defence against Holyfield showed the worst. He was fat, uninterested and looked like he could not wait to get out of there. I know he had a lot of out of the ring stuff to deal with but it’s one of the most pitiful defences of the undisputed heavyweight championships ever. 5 Jess Willard – As the man who took the belt off the wildly unpopular Johnson and lost it to the legendary Jack Dempsey it is peculiar that Willard has become such a footnote in heavyweight boxing history. Part of the problem is of Willard’s own making, between beating Johnson in 1915 and dumping the title to Dempsey in 1919 Willard managed a sum total of one defence. The frustrating thing is, and the reason Willard does not appear higher on the list is I don’t actually think he is too bad a fighter. At 6ft 6 he is never going to be a speedster but he has decent enough speed for his size, half decent stamina and some degree of power. However one has to consider certain things. Johnson was long in the tooth and being hounded by the authorities left, right and centre when he lost to Johnson and Dempsey’s title win over him was about as one sided as you’d ever see. Given this Willard inevitably has to feature. 4 Ingemar Johannsen - What does it for Ingemar is the brevity of his reign. Believe I am right in saying he was champion for weeks shy of a year, a period that did not contain one defence. As with Willard the irony with Ingy is there is a decent fighter bubbling somewhere under the surface. He sure as hell did not have a great chin and his dedication to training was, on occasion, less than stellar but he had decent footwork and a right hand that was a genuinely hurtful thing. When focussed and able to land the right hand he was capable of some impressive work as wins over Cooper and the decent Eddie Machen testify, but as a champion he remains something of a busted flush who unfortunately deserves his top five berth. 3 Primo Carnera – I am sure only have Carnera at three will raise the odd eyebrow but as I have a penchant for doing I will make a case for the big man. Firstly in the era between Dempsey and Louis only two fighters managed two defences of the title, Gene Tunney was one, Da Preem was the other, neither Schmeling, Sharkey or Baer could manage the feat. Carnera also did it in half decent company, Uzcudin was something of a perennial contender, but was not rubbish and Loughran was a fantastic fighter (albeit one more natural at light heavy). Whilst rumours abound about mob involvement in his career most agree his title defences were above board, his title winning effort against Sharkey is still the subject of debate but even if we accept these are true two decent defences against solid opposition is enough to elevate him against at least a couple of candidates in my eyes. 2 - Marvin Hart – Hart is an odd one because whilst we generally accept him as a heavyweight champion at the time his status was less than universally agreed. Basically when Jeffries retired nobody really knew what to do as the situation was unprecedented. There was talk of elimination tournaments, giving it back to Fitzsimmons, holding it in abeyance until Jeffries returned and other vaguely ridiculous proposals. Eventually a promoter matched Hart and Root for the title, got Jeffries to referee and relied on the symbolic value of Jeff raising the winners arm as being sufficient. Most saw this as chutzpah but grudgingly agreed Hart would be accepted once he put a few defences together, this plan fell to bits when he dumped the title first defence! As with most of the fighters around at that time Hart suffers from the truth that Jack Johnson was far and away the best heavyweight in the world, irrespective of Hart holding a more than contentious win over him. Was it not for the colour line Hart would not have got within a country mile of the title. Limited ability, zero defences, a tenuous claim to the title and a far more qualified fighter being screwed out of holding it pretty much guarantee Hart deserves his place on the list. 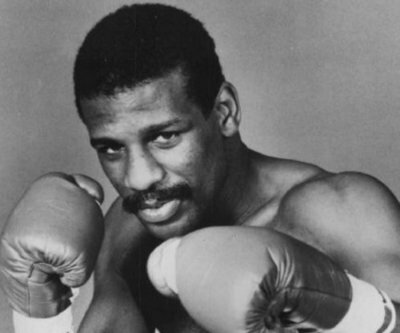 1 - Leon Spinks – All of which poses the question how bad do you have to be to deny Hart a place on the top of the pile. The answer is as bad as Leon Spinks. Spinks won the title in only his eight fight against Muhammad Ali, all of which sounds reasonably impressive, but the truth is he beat an Ali who was a shell of the fighter he had been, old, slower than old molasses and out of shape, even with all this in his favour Spinks still made heavy weather of it. After winning the title the inevitable rematch was scheduled, Spinks appears to have trained for this in strip bars and somehow managed to give the title back to an even older and slower version of Ali, both fights of which nobody should ever sit through unless forced. After losing to Ali Spinks was to fight on until 1995, but managed to lose pretty much any time he fought anybody half decent (Holmes, Coetzee, De Leon). Like others on the list Spinks is probably not without talent, he was an Olympic champion, but a terrible attitude to his training ensured he never fulfilled whatever promise he may have had and his time as champion is one of the more inglorious moments in heavyweight history.